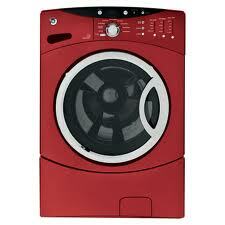 • Cleaning: SPEED: 1200 rpm, CAPACITY: 4.2 Cu Ft.
FAFW3577KB Washer 7 Wash cycles 3.5 cu. 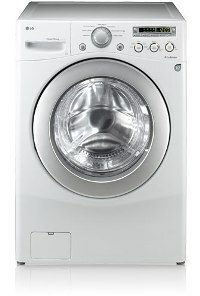 ft.
FAFW3574KN Washer 7 Wash cycles 3.5 cu. 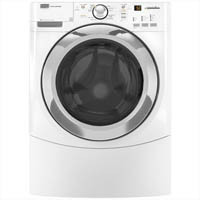 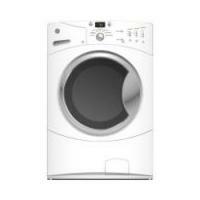 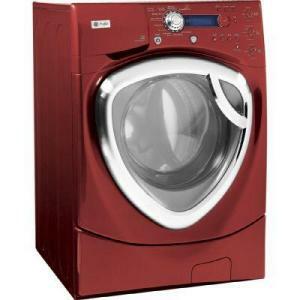 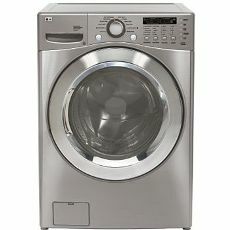 ft.
GLTF2940FE Washer 14 Wash cycles 3.5 Cu. 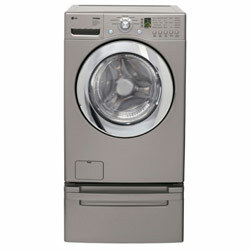 Ft.
FAFW3577KW Washer 7 Wash cycles 3.5 cu. 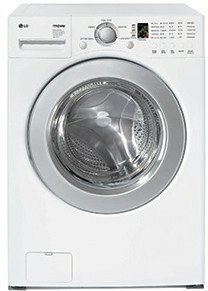 ft.
FAFW3511KB Combo 7 Wash cycles 3.5 cu. 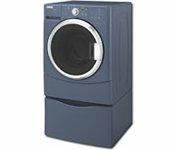 ft.
FAFW3511KR 7 Wash cycles washer 3.5 cu. 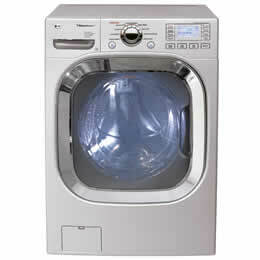 ft.
FAFW3517KB Washer 7 Wash cycles 3.5 Cu. 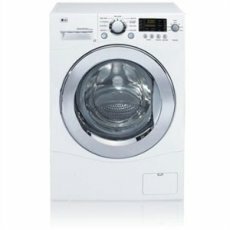 Ft.
FAFW3517KN Washer 7 Wash cycles 3.5 Cu. 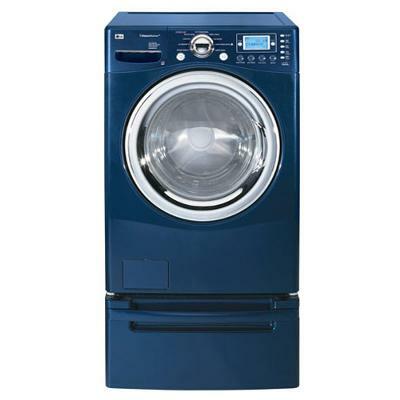 Ft.
GLTF2940FE 14 Wash cycles 3.5 Cu. 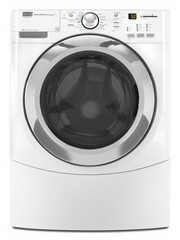 Ft.
WF409AN Washer 4.3 Cu. 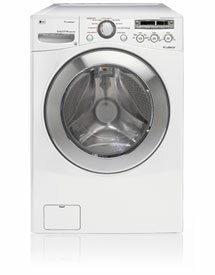 Ft.
WF419AAW Steam 12-Cycle 4.3 Cu. 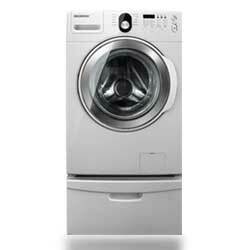 Ft.
WF328AAR Washer 12 Cycle 4.0 cu. 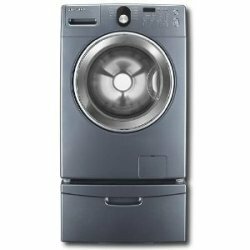 ft.
WF328AAW Washer 4.0 cu. 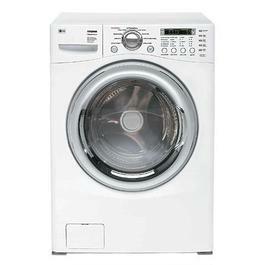 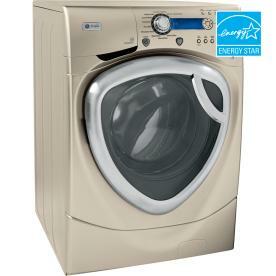 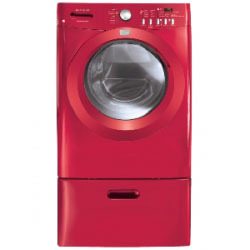 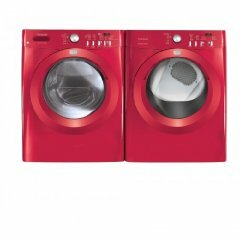 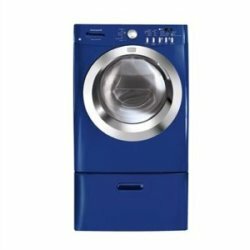 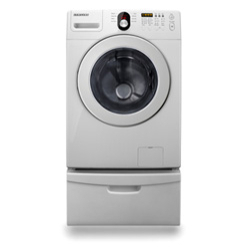 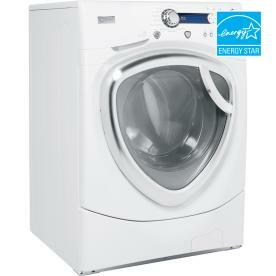 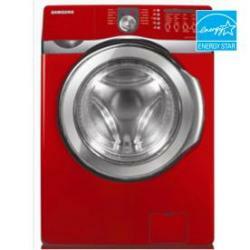 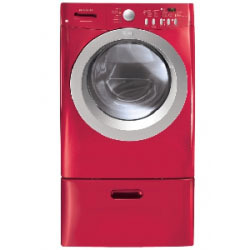 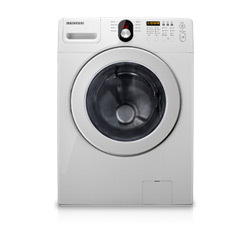 ft.
WF218ANW Washer 4.0 cu. 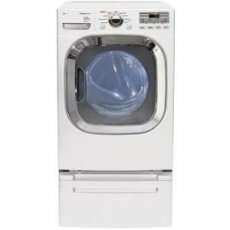 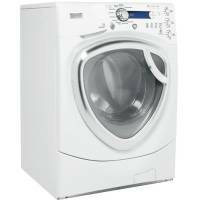 ft.
WF218ANB washer 4.0 cu. 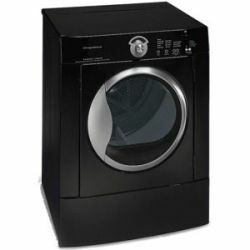 ft.
For many years many commercial laundries have used front load washers, and in the past few years these washers have become available to the general public for home use. 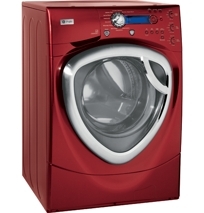 While they still look quite a bit like the traditional top loading washing machines, they are definitely different. 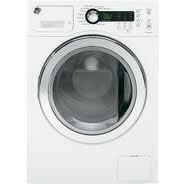 Instead of using an agitator, they actually move the clothes around in the machine by spinning, much like a dryer. 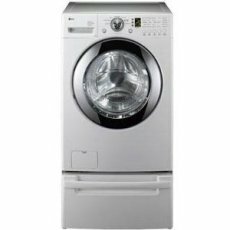 If you are considering a new washer for your home you will probably come across some of these front load washers, so it is important that you learn a bit more about what they have to offer and the drawbacks of using one. 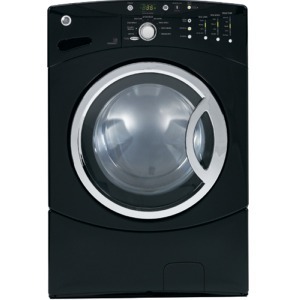 So, the following are both the pros and cons of front loan washers, which should help you decide whether a front load washer is the right choice for you. 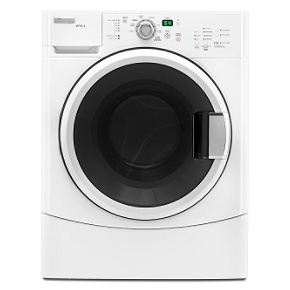 When it comes to front load washing machines, there are many pros. 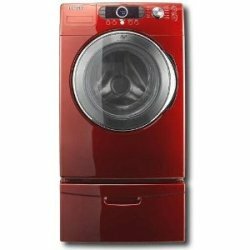 The following are just a few of the advantages you can enjoy if you purchase one of these machines for your home. 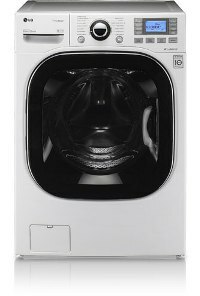 Pro #1 – They Hold More – One of the most important pros of a front load washer is that they hold much more than top loading ones do. 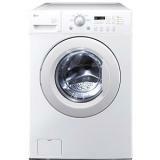 In fact, usually you can fit about 30% more clothes in a front load washer than you can in a top load one. 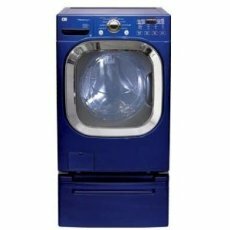 This is very handy, since larger items, such as rugs, comforters, and other bulky items can easily be washed in this type of a washer. 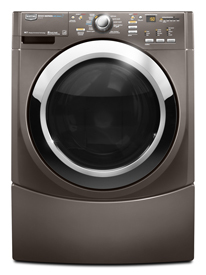 Pro #2 – Energy Saving – A front load washer also can help you save on energy costs as well. 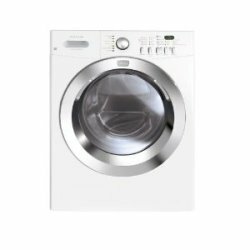 These washers don’t use near as much water as regular washing machines and you won’t need as much electric to heat up the water in the washer either. 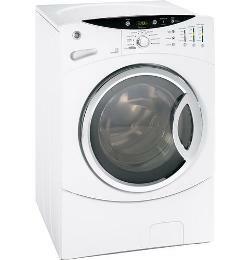 So, you can save a couple hundred dollars a year on energy bills when using a front load washer. 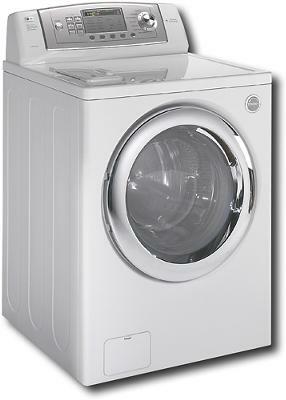 Pro #3 – Easier on Your Clothes – Since there is no agitator in a front load washer, it is much easier on your clothing. 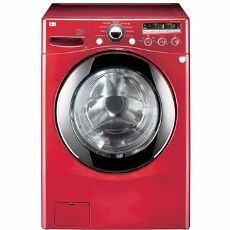 This means that your clothes will look great and they’ll last longer, since they don’t have as much wear and tear on them when you wash them. Pro #4 – Much Quieter – Believe it or not, another pro of front load washing machines is that they are much quieter than top load ones. 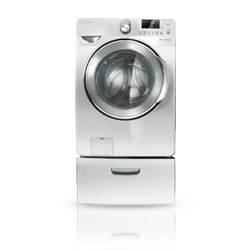 You won’t hear any clunking sounds like you do with top load washers. 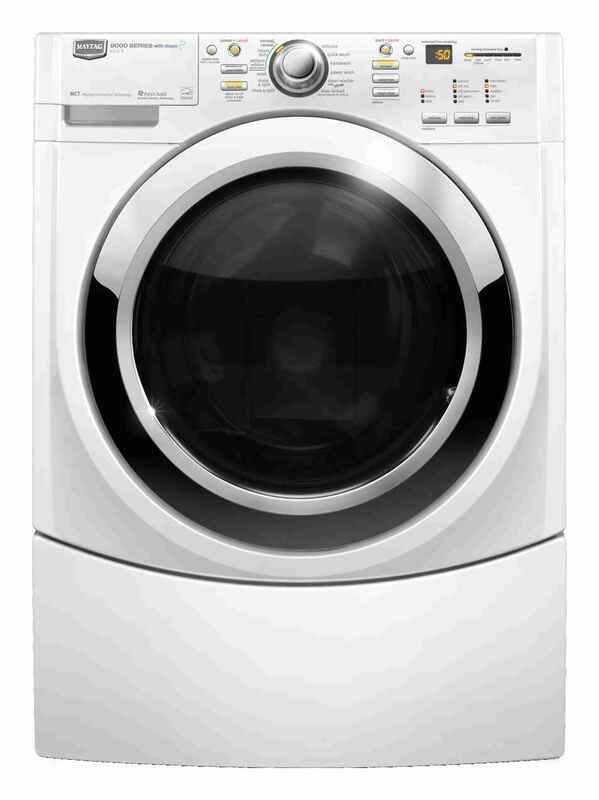 Pro #5 – Stains Come Out Better – Stains also come out a lot better in a front load washer as well. 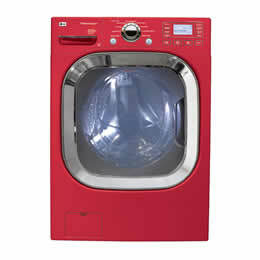 So, if you deal with tough stains on a regular basis, this machine is a great idea. 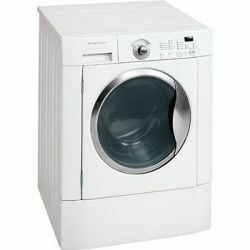 Of course there are a few cons to these washers as well, just as there are with most things. 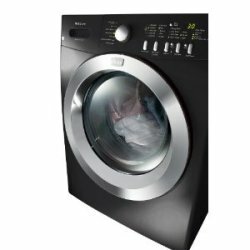 The following are a few cons that you will need to be aware of. Con #1 – More Expensive than Top Load Washers – One of the main cons that people find when they are considering a front load washer is that they are quite a bit more expensive than washers that are top loading. 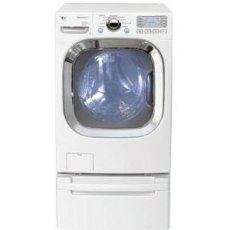 Usually you can expect to pay at least $300 or $400 more for a front load machine; however, over time you may recover this, since you’ll save on energy bills. 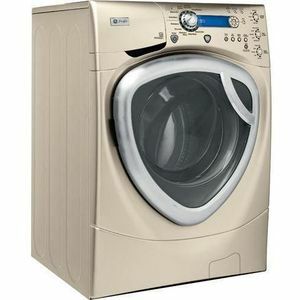 Con #2 – You Have to Constantly Bend Over – Another con that many people have noticed that have these front load washing machines is that you constantly have to bend over to put the clothes in and to take the clothes out. 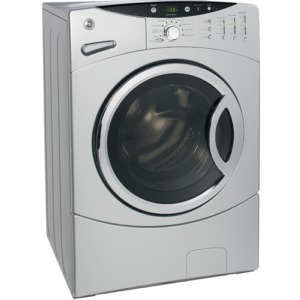 This can be a real pain and if you have a bad back, you may not like to bend over constantly. 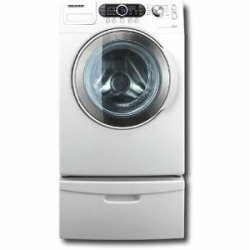 Con #3 – Washing Just One or Two Items Doesn’t Work Well – You will also find that if you want to wash just one or two items in this washer, it won’t work out very well. 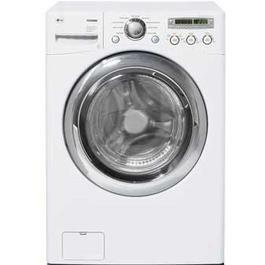 In fact, it is not recommended that you do this. 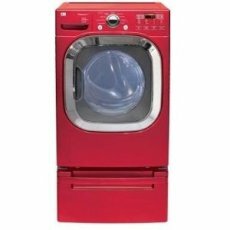 So, now that you have taken a good look at the pros and the cons of front load washing machines, you are now better equipped to make a decision on whether or not you want one for your home. 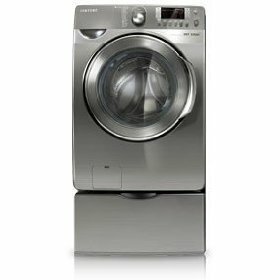 All in all, it seems that the pros far outweigh the cons; however, that is a decision you will need to make for yourself.